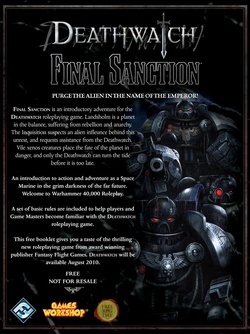 Final Sanction is an introductory adventure for the Deathwatch roleplaying game. Landsholm is a planet in the balance, suffering from rebellion and anarchy. The Inquisition suspects an alien influence behind this unrest, and requests assistance from the Deathwatch. 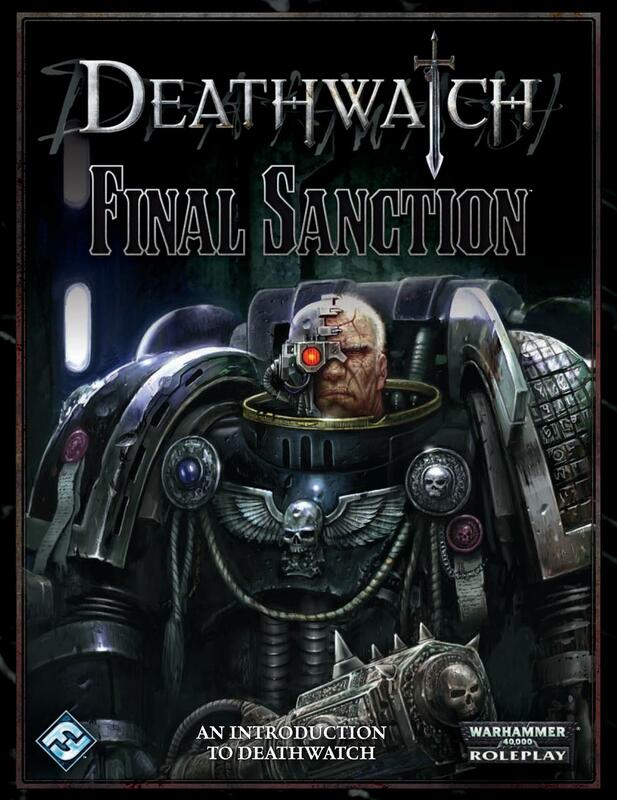 Vile xenos creatures place the fate of the planet in danger, and only the Deathwatch can turn the tide before it is too late. 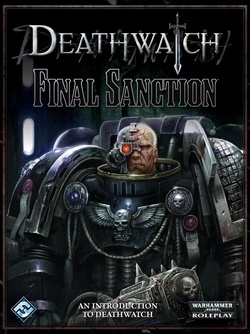 An introduction to action and adventure as a Space Marine in the grim darkness of the far future. 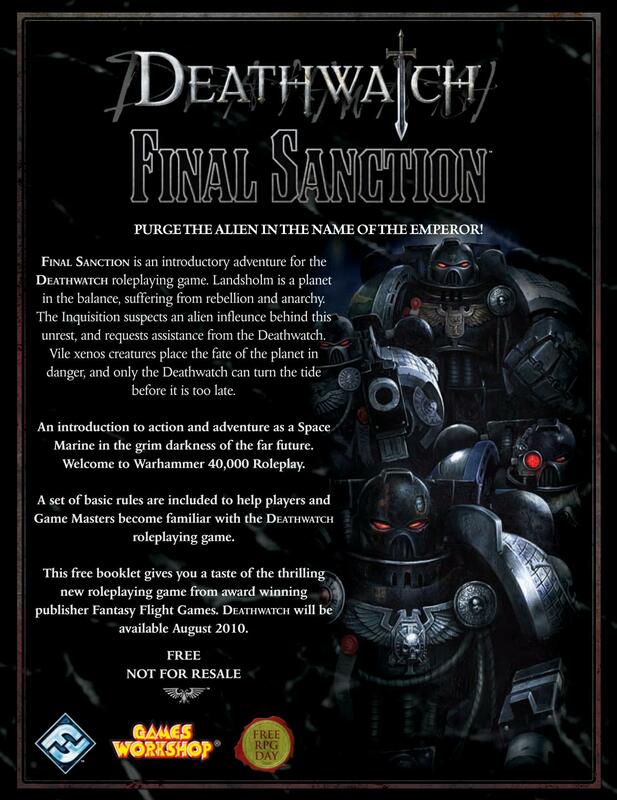 Welcome to Warhammer 40,000 Roleplay. 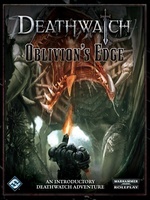 A set of basic rules are included to help players and Game Masters become familiar with the Deathwatch roleplaying game.